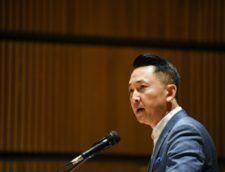 Viet Thanh Nguyen talks with Jeffrey Brown of PBS’ Book View New about his latest novel, “The Refugees” at the 2017 AWP Book Fair. Jeffrey Brown: Welcome back to Book View Now. I’m Jeffrey Brown of the PBS NewsHour here at the AWP Conference in Washington. And I’m joined now by Viet Thanh Nguyen. He is the author of the new story collection The Refugees, of the Pulitzer Prize-winning novel, The Sympathizer, and of the recent non-fiction collection, Nothing Ever Dies. So welcome to you. Jeffrey Brown: I wanted to start with … Maybe it’s a basic question but it’s the word, refugees, because it’s an important one to you. Jeffrey Brown: What does it mean? Viet Nguyen: To be a refugee especially in our contemporary moment is to be different than an immigrant. I think immigrants are somewhat acceptable to Europe and the United States. But refugees are the unwanted from wherever they come from and they’re often unwanted where they come to. And especially in the United States, I think Americans think it’s un-American to be a refugee. So it’s actually really important for me to continually assert … I’m a refugee. I write about refugees and that we need to think about the necessity of opening our doors and welcoming refugees in. Jeffrey Brown: [00:01:00] You’re living between worlds, never leaving one behind fully. Why is that so much harder for the refugee than the immigrant or others? Viet Nguyen: I think immigrants do feel some of that attachment to wherever they came from but they usually made a choice to go somewhere and they decided to look forward to some extent. But refugees are often compelled to leave by violent circumstance. They’re really still attached to wherever they came from. They’re oftentimes looking backward. So that’s where I think refugees oftentimes have a hard time adjusting, at least psychologically. They may adjust culturally and economically but psychologically half of them is still somewhere else. Jeffrey Brown: [00:01:30] So in the first story in this new collection, Black-Eyed Women, the main character is a woman who is Vietnamese-American ghostwriter, right? So she’s actually there but not there literally. Viet Nguyen: Right. And so I wanted to make it sort of a story that was about ghosts in many different ways. She’s a ghostwriter but she’s actually haunted by a real ghost. Viet Nguyen: That ghost is of her dead brother who she thought had died on the escape from Vietnam on a boat and then one night he comes knocking on the door. He’s literally a ghost who’s swam thousands of miles to get to her door. Viet Nguyen: And it’s about the figurative and the literal haunting that so many people who have escaped through traumatic circumstances continue to live with. Jeffrey Brown: But the emphasis is on the real ghost, right? Jeffrey Brown: So real as in these people are alive for your characters. Viet Nguyen: [00:02:30] Yes. I think for many cultures ghosts really exist. I mean literally, Vietnamese people, for example, often recount being visited by people who have just died. Not to haunt them but to come and say goodbye. Viet Nguyen: But people also really believe in literal ghosts or experience of being haunted is as if ghosts really do exist for these people. Jeffrey Brown: Because the daughter wasn’t sure, right? Jeffrey Brown: But the mother always was. Viet Nguyen: Right. And the mother has all kinds of lore about ghosts. Like how they always look exactly the same as when you saw them last. For our narrator of this story, she doesn’t want to see her brother exactly the same as when she saw him last because it was under terrible circumstances. Jeffrey Brown: [00:03:00] So as I read through the stories in this book, you’ve got characters who have lived here in the U.S. for a long time. You have stories set in Vietnam. You have Americans going back. How did you think about this? I mean, what are you exploring through these stories? Viet Nguyen: [00:03:30] I think that when I say Vietnamese to Americans or to other people, there might be this idea that there’s only one Vietnamese kind of culture or one Vietnamese kind of people and I’m going to speak for them. But Vietnamese are just like everybody else. They’re diverse. So this is a collection where I wanted to talk about the young and the old, the straight and the gay, the conservative and the radicals, the ones who stayed and the ones who went back to give people a sense of how heterogeneous and contradictory these people are. 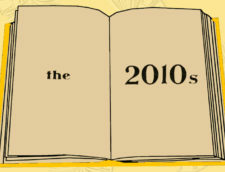 Jeffrey Brown: And of course, this is a collection I understand through time, right? Jeffrey Brown: These are stories that go back a ways. So what did you see when you went back to pull them together? Do you see a commonality of theme? Viet Nguyen: [00:04:00] Well, you know, the stories began in 1997 and finished in 2014, 17 years to produce something that most readers can read in a day. And it was a really difficult experience for me. It’s how I learned to be a writer. So my relationship with many of these stories is really one of trauma. I have a disembodied relationship to my own book. Viet Nguyen: And it was really with the help of my editor that we went back and said, “Okay, well, we should arrange the stories in this fashion to give readers a sense of movement through time. Because the first story, the earliest story is about coming to the United States. The last story is about returning Vietnam. Viet Nguyen: And giving the people the sense that it’s not an either/or situation for most immigrants and refugees. They don’t think of themselves as having completed some linear journey but oftentimes a circular one. They do go back to their homeland and then they come back to the United States and they do it over and over again. Jeffrey Brown: What about for you as a writer because as you are saying, this is you learning to become a writer [crosstalk 00:04:57]. Jeffrey Brown: [00:05:00] That’s a trauma. Viet Nguyen: That’s a trauma but I appreciate it and now that it’s over, because it made me into a writer. You have to struggle in order to be a writer. Jeffrey Brown: Yeah. Is it easier now when you come to the most recent one? Viet Nguyen: Meaning like it was a really intensely pleasurable most of the time except when I talked to my agent and he said, “How are we going to sell this book?” Then I was brought back to earth. Jeffrey Brown: … was exciting because you had it in your head and it was ready to come out or …? Viet Nguyen: Yes and I was possessed by the voice of my narrator. I was possessed by what I was saying in the book. It was a really passionate novel and I felt passion at writing it. And it was also a lot of fun. This is very rare. I understand that. So I don’t know if I will ever get that back again. So I don’t know if the next novel will be written in the same way. Jeffrey Brown: [00:06:00] Are you aware as reader are aware, of the newness of this voice in our literature? I mean, do you feel that? Viet Nguyen: I think so because in order to be a writer you have to read a lot in the traditions in which you write. Viet Nguyen: So I’ve read a lot of Vietnamese writing, Asian-American writing and American writing and the novel is explicitly designed to provoke all these different categories and do things that I don’t think has been done before in those categories including in contemporary American fiction. Jeffrey Brown: So those categories for The Sympathizer I’m thinking of, you can see parallels. You can see Ralph Ellison, Invisible Man. You can see Graham Greene writing in some … spy, right? In Vietnam. And other contemporary Vietnamese and American literature. Jeffrey Brown: [00:07:00] I want to ask you … I mentioned the non-fiction book Nothing Ever Dies: Vietnam and the Memory of War. It begins with the line, “I was born in Vietnam but made in America.” I want to ask you about you and your ghosts. How much, to what extent you still see yourself as of two worlds? Viet Nguyen: I grew up feeling as if I was a spy in my parents’ household. They were Vietnamese but I was Americanized. Then I would go out in the American world and feel like I was a Vietnamese spying on Americans. To some extent that’s never really left me. I’m always in the position of being an observer. No matter where I am, I’m watching people. I try to hear what they say and look at what they do as an outsider. 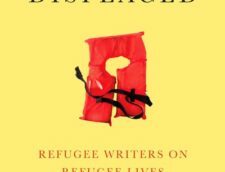 That has been enormously beneficial as a writer so in some sense I don’t want to lose that sense of being haunted, that sense of being a refugee because it’s what’s made me the kind of writer that I am. Jeffrey Brown: [00:07:30] So those things … Sorry, I was just … We were just interrupted there. So that never goes away for you as a writer. I mean, that helps define you as a writer. Viet Nguyen: [00:08:00] It never goes away but it’s also something that I want to cultivate because it’s an uncomfortable position to be in-between places. Most people want to belong in one place so it’s uncomfortable to be in between but as a writer that’s where you need to be. That’s how you get new insight is to be able to look at something from the inside and the outside. So for me to be a writer is to be continually uncomfortable to one degree or another. Jeffrey Brown: [00:08:30] But that means you don’t want to in a sense leave it behind. Viet Nguyen: I don’t want to be settled. I don’t want to leave it behind. I don’t want to be overwhelmed by it. I want to make use out of it. I don’t want to be mastered by my past but I don’t want to forget my past either. Jeffrey Brown: Memory fading into forgetfulness or mythology, we see that in individual memories, larger cultural memories. But the title, Nothing Ever Dies. Viet Nguyen: It’s a dual meaning in the sense that nothing ever dies is both hopeful and terrifying. If what we think of as ghosts never die and they come back to haunt us, that would be worrisome for most of us. But if we think that someone who is dead is actually not dead, that’s actually potentially hopeful, that we can still resurrect them or live with their memory in some way. Jeffrey Brown: [00:09:00] So when you … if we fast forward to today’s world and it’s discussion of refugees and immigrants, do you feel a responsibility as a writer or as citizen to address these things even more? Viet Nguyen: [00:09:30] I do feel that as an individual. I’m politically aware person but I also feel that as a writer that I think one of the writer’s most urgent tasks is to say something about what’s happening in the world today. I think that the sharpening of the political division has really made other writers much more cognizant of that also, that we need to address the urgent political controversies of our time. Jeffrey Brown: So how are you doing that? Viet Nguyen: Well, I think The Refugees was my way of doing that. It just happened to be the case that the refugee problem, which has always been with us, has come to a head and now outside of that I took the opportunity of this platform as a writer to write op-eds, to speak out in public, to go on the Seth Meyers’ show and not just to talk about happy things but also to talk about our history and refugees and immigrants to a late-night audience. Jeffrey Brown: [00:10:00] Yeah. Do you get a sense that the culture is listening? Viet Nguyen: I think so. Either they’re listening because they hate refugees and immigrants or they’re listening because they think we should embrace and welcome refugees and immigrants. But people are listening one way or the other. Jeffrey Brown: [00:10:30] What is happening … I’m curious because The Sympathizer …and you just said to me earlier that the Vietnamese-American, the experience, is so diverse, right? It’s not just one thing. What is happening within that community today politically? Viet Nguyen: Well, I think it’s a community that in the past was really defined by the war and by anti-communism and those feelings still remain. But the community has been here over 40 years now. There’s a second generation or even a third generation born here and inevitability their concerns are different. They see themselves as Americans but they see themselves as transnationals. So there’s a certain subset of people who go back and forth between Vietnam who were never born in Vietnam. So it’s an exciting time. It’s a diverse community but it’s still struggling to some extent with its past. Jeffrey Brown: [00:11:00] I just want to just in our last couple of minutes because I know you also wear another hat as a professor-teacher, right? What do you see in the students? What is it that you are trying to convey about either literature or writing but also bringing in their own experience. Viet Nguyen: [00:11:30] I think because the students today so many of them, at least in my university, really cosmopolitan or they’re international. Jeffrey Brown: All right. The new story collection is The Refugees, Viet Thanh Nguyen. Thank you very much.